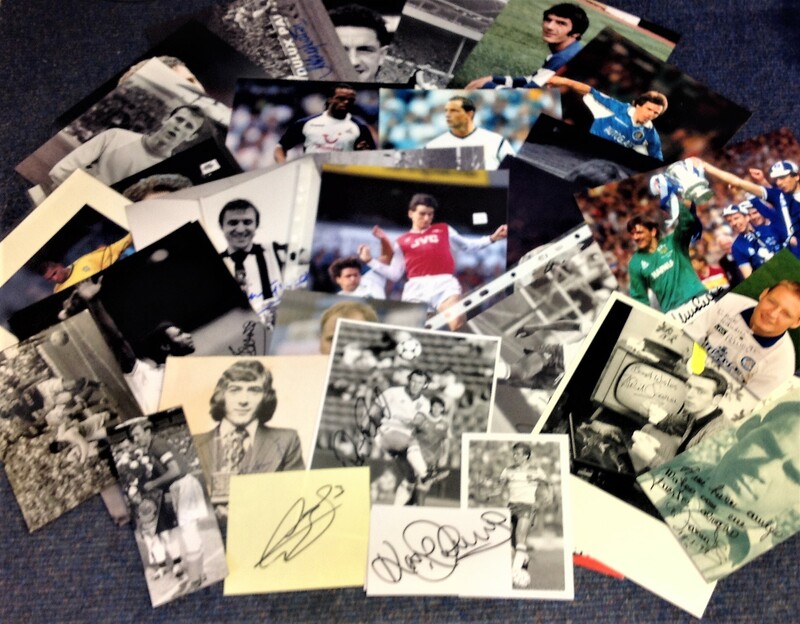 Football collection 35 signed photos and signature pieces includes Gareth Bale, David Batty, Kenny Sansom, Peter Reid, Pat Jennings, Gary Mabbutt, Edgar Davids, Luther Blissett, Mickey Hazard, Danny Thomas, Dennis Tueart, Rodney Marsh, Gianfranco Zola and Julian Dicks. Good Condition. All signed pieces come with a Certificate of Authenticity. We combine postage on multiple winning lots and can ship worldwide. UK postage from £3.99, EU from £5.99, Rest of World from £7.99.